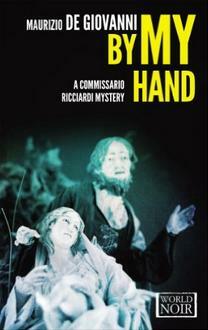 Literature, horror, police procedural, classic mystery: that's what you get in the Commissario Ricciardi Series. Blood Curse is book two. 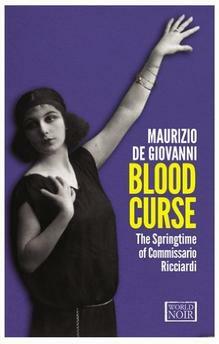 Two aspects of Italian culture are featured in Blood Curse: motherhood, and an over emphasis on physical beauty. People suffer terribly in the book for both aspects. The book begins by introducing the characters, using skilled third-person narration in both the classic omniscient style and sometimes in the limited style, with a darkly ironic narrative voice. There are many poetical touches in the text, especially when Naples is described. To be honest, one-third of a way into the book, I returned to the start and skimmed through to make sure I had everyone and everything thing straight, before continuing reading through to the end. It was worth the effort. I love challenging books that have big rewards, and this is one of those books. There is much for an Italophile to enjoy in this series that is written in Italian and wonderfully translated into English. The translator smoothly inserts explanations of the Italian elements, keeping a strong local flavor while making it intelligible for non-Italian readers. Horror is not my favorite genre, and I avoid horror films like a plague, but I can just bear it in a book. The horrific descriptions of the recently deceased in Blood Curse, and the other books in the series, have a purpose. 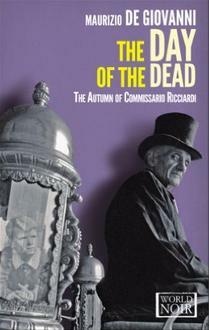 Police Commissario Luigi Alfredo Ricciardi di Malomonte has a special ability that gives him a decided edge when solving homicide cases: he can see the ghosts of the recently deceased, and hear their last thoughts and words. ...the sole spectator of the rotten theatre of human evil. 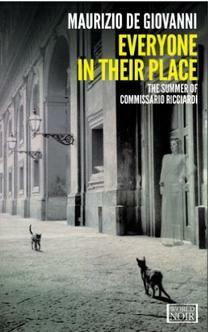 The era is the early years of Italy's Fascist regime, the 1930s, so the reader gets a glimpse at what life under the Fascists was like (a police state is not pleasant, but many needed modernizations were made to Italy's infrastructure). The setting is southern Italy's iconic city, Naples. There is a real feel for the city and her people. The differences between today's Naples and the Naples of then are pointed out, too. If you know Naples, then you'll find that extra interest in the books. The city reminded Ricciardi more all the time of one of those houses with a nice parlor for entertaining guests while the rest of the rooms were falling apart. 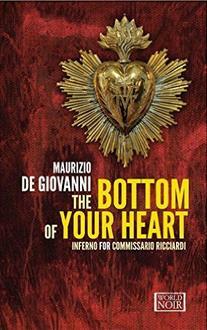 Commissario Ricciardi is a tragic figure, suffering since childhood with his visions. He isolates himself so as to not taint others with his burden, but that just adds to his sadness. He was given a privileged upbringing, one that we glimpse in flashbacks now and then. He has few close friends, but they are fiercely loyal: his nanny from childhood, his police Brigadier, and the medical examiner who calls Ricciardi the "Prince of Darkness" because of his spectral appearance that strikes all who see him. Ricciardi's attempts, sometimes just imaginary, to have normal human contact, are very touching. It is Ricciardi's, and his close friends', strong decency at the heart of the story that made the death and suffering bearable for this reader. There is also some humor to lighten the tale. 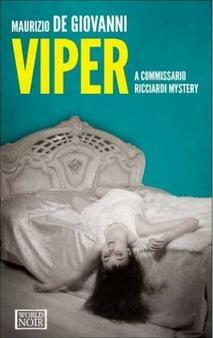 If you are looking for Italian crime novels with a difference, this could be your go-to series. 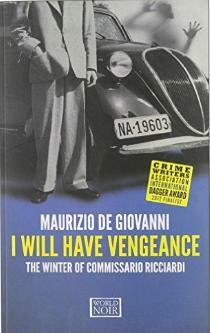 Like all Italian fiction, it is rich with human psychology, both the good and the bad. It is also at times literary, poetical, touching, funny, ghostly, macabre, fascinating and even educational about the historical era. Here is a direct link to the series page at Amazon.com. Here is a direct link to Blood Curse at Amazon.com. Please visit the author's page at his English language publisher's site.